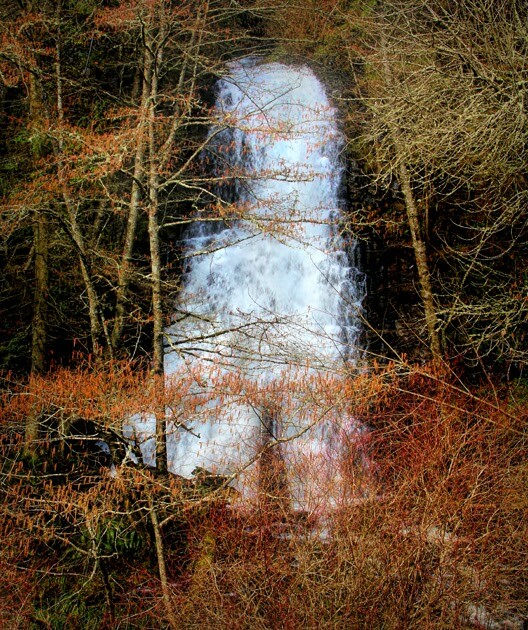 Soon when the leaves burst forth it will not be as easy to see this lovely waterfall. Beautiful falls, always reminds me of serene times, thanks. Impressive waterfall, especially with all those spring blooms.